We are working on 25 new lines for spring 2010! We just can’t wait for you to take a look so here is a sneak peak at the first seven collections. 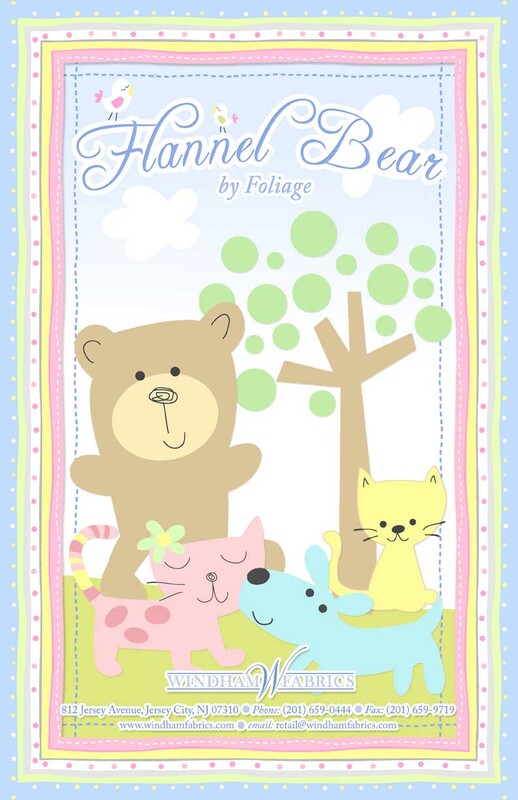 Delicate pastels and friendly faces are a delight in Flannel Bear by Foliage. In its debut quilters flannel for baby Foliage once again proves that they are inspired by the word “adorable.” They continue to find the balance between everyday cute and just enough modernity to attract quilters of all ages. 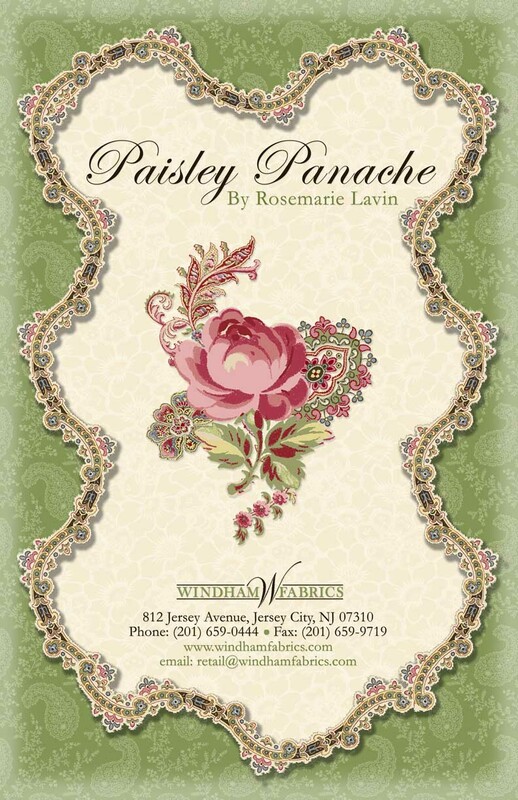 Flamboyance, flair, style, élan, and elegance are all words that can easily describe Rosemarie Lavin’s newest collection; Paisley Panache. An eclectic mix of color presents a dashing sense of spirited style. With her use of intricate teardrop shapes and delicate line work Paisley Panache is a true modern classic. The coming of the circus was an annual event awaited with great anticipation in 19th and early 20th century America. Weeks before the circus was due, colorful posters appeared on barns and fences, announcing the dates and new performers. Finally the circus arrived! Excitement grew as wagons, elephants and clowns paraded through town and the big-top tent was raised. 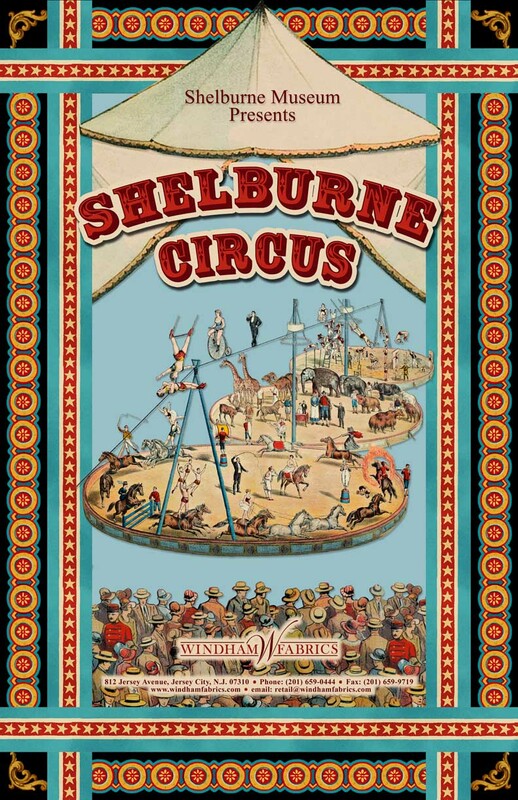 Traveling circuses are represented at Shelburne Museum and in a new collection by the same name. Vintage advertising posters from the museum's collection inspired this collection commerating the Golden Age of the American travelling circus (1870-1950). 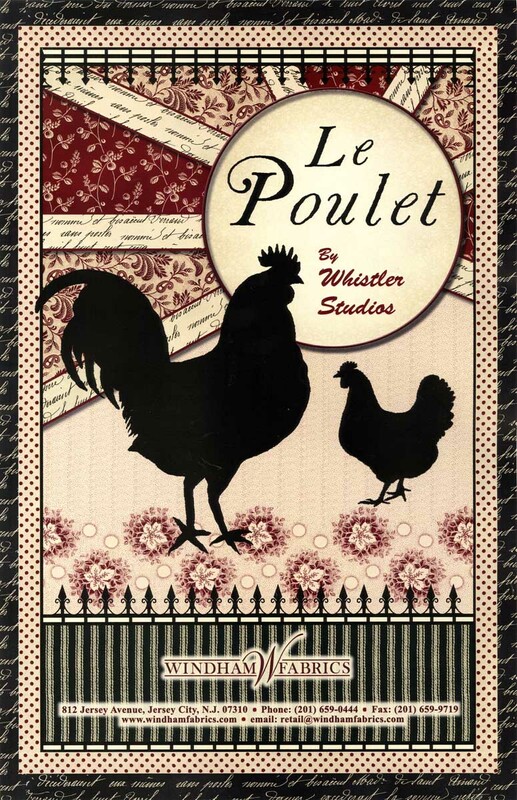 Le Poulet is designed as an eclectic blend of traditional and graphic designs. The bold icons of poulet and coq set off in bold black, cream and red offer a complex construction juxtaposed to the charming picotage and delicate traditional designs. Elements of pattern design in Le Poulet allow additional opportunities for both piecing and appliqué techniques. This unique mix of pattern is sure to offer the contrast that will make any quilt pop. 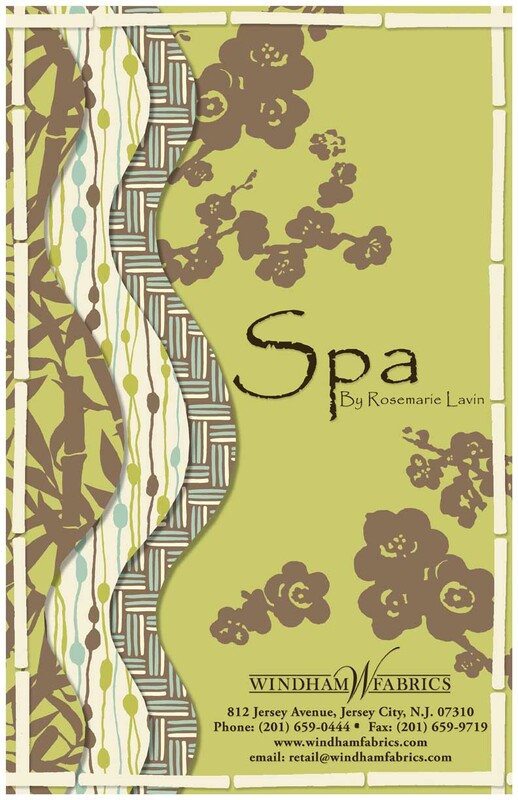 Natural graphic shapes and clean colors radiate with contemporary emotion that emanates from Rosemarie Lavin’s Spa Collection. Larger scale trees, branches and bamboo are soothingly mixed with a free form stripe and organic shapes to create a relaxing esthetic. Colors play off of one another making a subtle statement using intense hues and color comparisons. See how the spa quilt can be at home in both contemporary and humble surroundings. 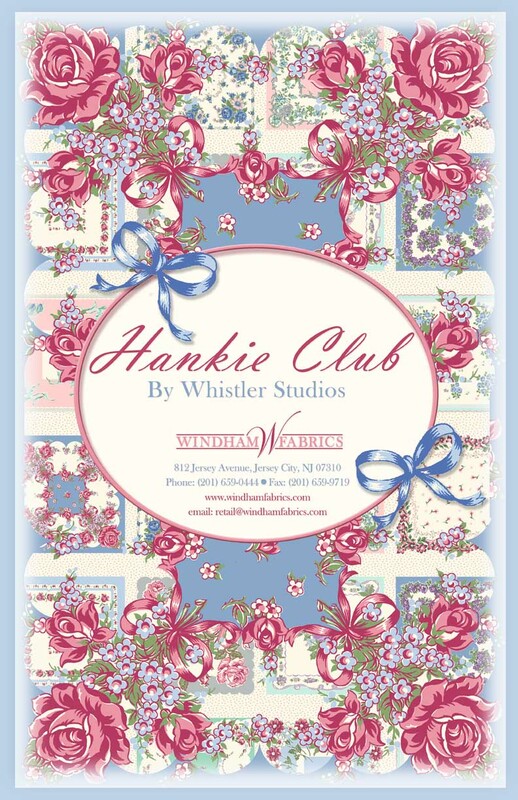 Vintage hankies from the 1930’s through the 1950’s are the building blocks for Hankie Club by Whistler Studios. Cut out the 12 full size hankies and then the fun begins. Use them for appliqué, corner blocks or finish them off as hankies. Zoo Babies by Whistler Studios offers choices for a unique baby quilt with just a touch of retro, and a bit of whimsy. In this new collection classic dots give way to spaced dots, and maze like straight pins yield to bold stripes. Throw in some friendly animals and some kitch color combinations and you’ve got a project that is sure to please. Keep an eye out for the rest of the collections for spring including more from Anna Griffin, Jessica Levitt, Bari Ackerman, Paige Stanley Miller, Jeanne Horton and Allison Jane Smith. You will marvel at the upcoming classic reproductions from Williamsburg and Nancy Gere’s inspirational Washington’s Legacy. In commemoration of the Civil War sesquicentennial Windham is proud to offer Gettysburg – Civil War VIII ca 1865 a new collection including documents direct from the archives of the Gettysburg Museum. Finally, and with great anticipation we welcome home preeminent designer, collector and quilt historian Mary Koval! Mary will premier her newest line with Windham Fabrics in May at Quilt Market in Minneapolis! We are delighted to welcome Mary back and look forward to bringing you collections with her unique classic signature. Check out http://windhamfabrics.com where will be posting the full collections beginning in January 2010. Lots of variety to choose from. Flannel Bear is adorable.